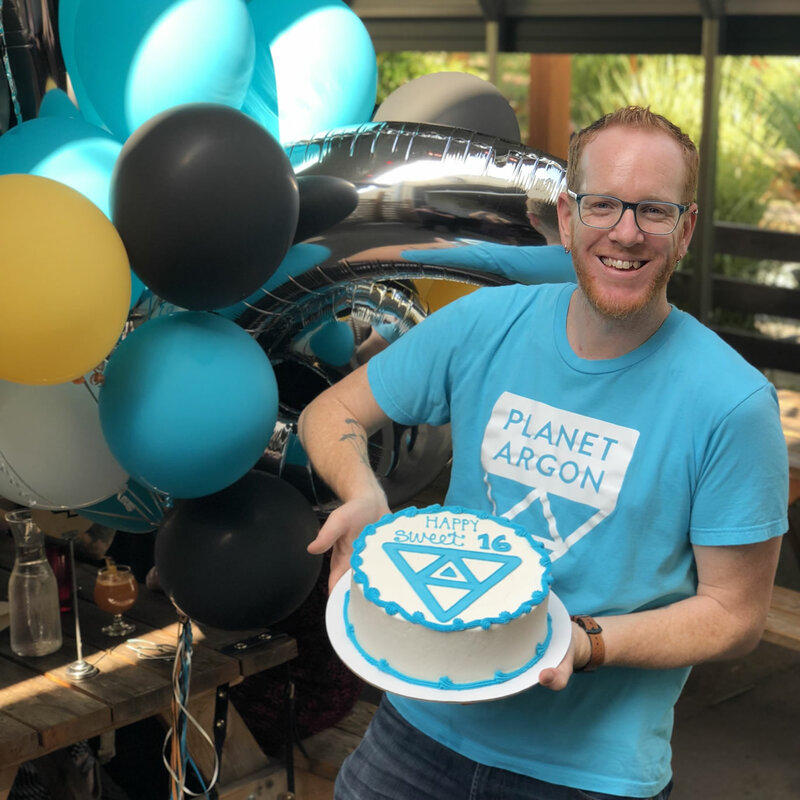 This week, we celebrated Planet Argon's 16th birthday. We wouldn't be where we are today without our amazing clients who provide us with meaningful projects to work on every day. If you've ever read a Planet Argon blog post, submitted a typo fix for our website, retweeted a link on Twitter, or liked a photo on Instagram, we wanted to thank you, too. Cheers to 16 years, and many more. 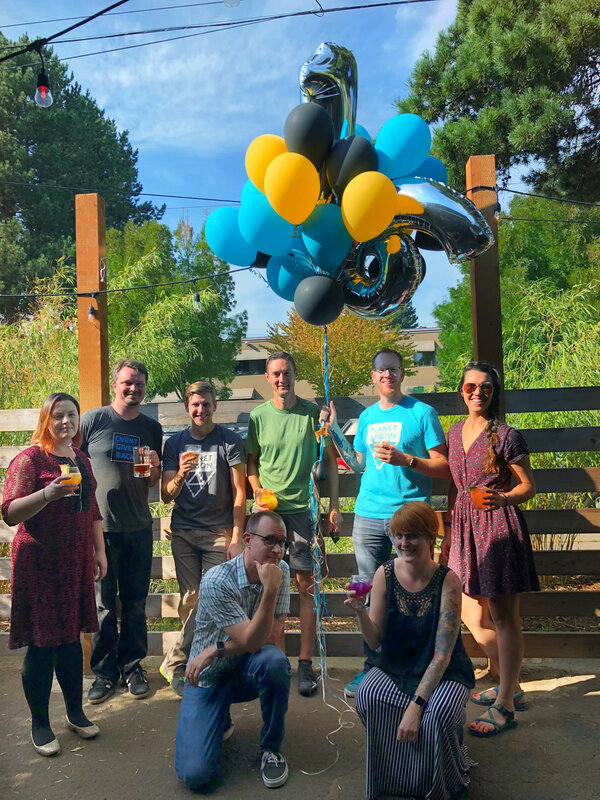 The team, minus a few, celebrated our 16th birthday with a happy hour at Victoria, a local North Portland watering hole. What's a 16th birthday without a cake? 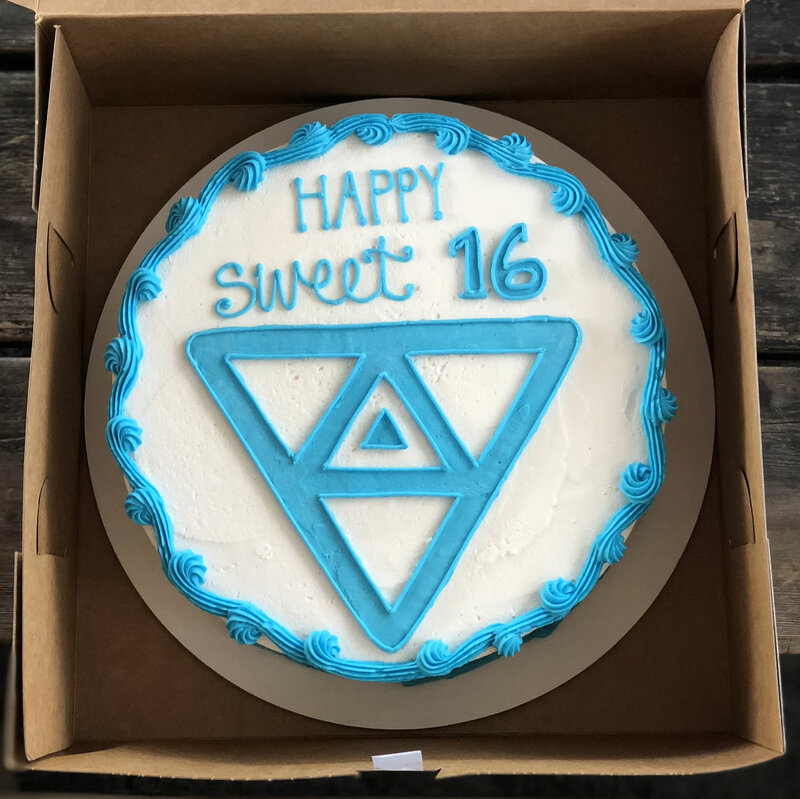 This masterpiece also happens to be vegan and gluten-free, from Gluten-Free Gem, a local Portland bake shop.